ANNOUNCING A CHANGE TO THE 2018 WEEKEND! OUR JUNE WEEKEND HAS HAD TO BE CANCELLED, FOR FAMILY REASONS. WE HOPE TO OFFER A WEEKEND IN SEPTEMBER, DATES TO BE DECIDED BEFORE LONG. ﻿These weekends offer couples and/or individuals great food and Bob Dylan Discussion with the author of Song & Dance Man III: The Art of Bob Dylan and The Bob Dylan Encyclopedia. 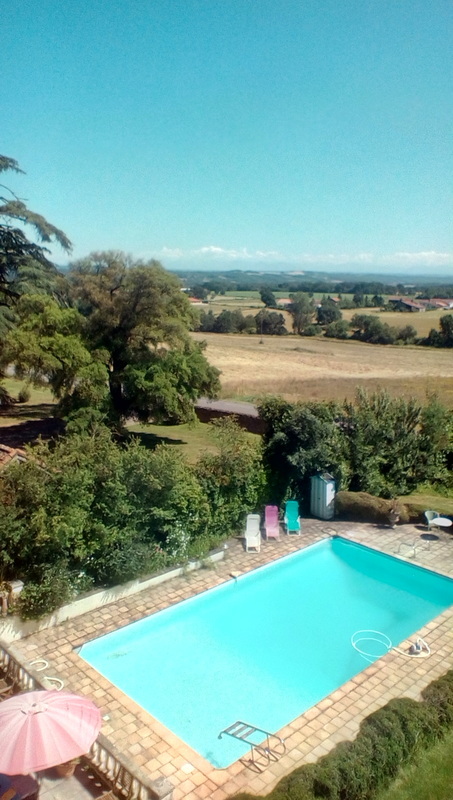 Come and stay in an en-suite room at our home in southwest France - an elegant 1870s house 40-odd miles from the Pyrenees and the Spanish border. The house lies on the edge of a small village in deep and beautiful countryside. - Stay a second night in our guest rooms and then have a relaxed Sunday breakfast before leaving us later that morning. (3 couples or up to 4 individual guests). There are two double rooms and one twin room. Each room is en suite. Meals, with accompanying good local wines, are provided by food writer Sarah Beattie and taken communally, outside on the terrace whenever possible. The weather is warm and sunny a good deal of the time. The after-dinner sessions on Dylan’s work take place in the large sitting-room, where relevant vinyl and CDs from Michael’s collection can be played, again with accompanying wine. Guests can choose specific topics, if they wish, such as Bob Dylan's Cutting Edges; His Nobel Prize for Literature; Why All Those Sinatra-Type Songs? ; Dylan & the Blues; Dylan & Rock’n’roll; Dylan's Use of the Bible; Plagiarism; Dylan & Literary Culture; Dylan On Tour; Bootlegs... though on previous weekends, often a great discussion on several topics on the first evening tends to be followed by a second evening on which people also want to spend time just discovering tracks they don't have at home, listening to them together and enjoying the chance to talk Dylan with new friends as well as with Michael. Two nights’ en suite accommodation, two breakfasts and two full evening meals; quality local wines; two small-group Dylan Discussions led by Michael Gray. 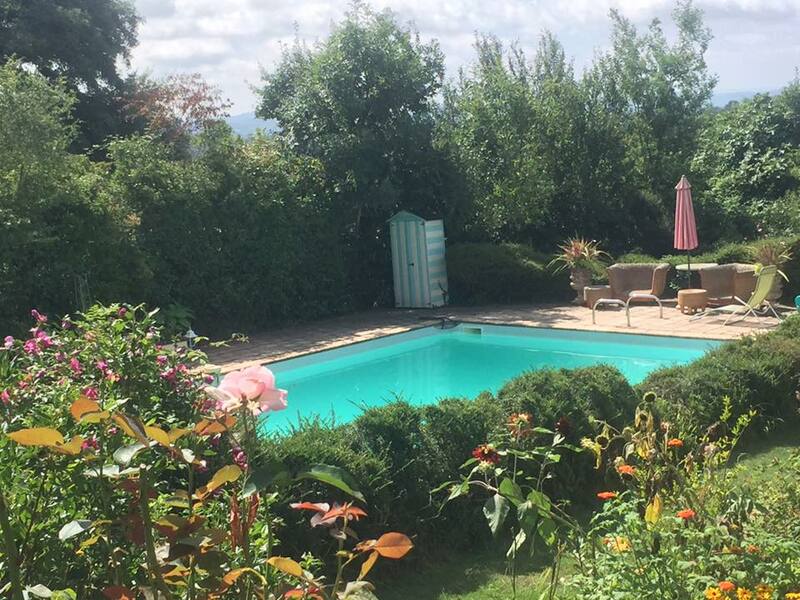 Guests are also welcome to use the garden and sizeable swimming pool. Flights; transport to & from airports; lunches; travel insurance. It is a non-smoking house, though guests are welcome to smoke in the garden; also that the household includes a dog (Mavis, a Griffon Nivernais), though she is not allowed upstairs. For flights, the nearest airports are Lourdes-Tarbes, Pau, Toulouse. By far the largest of these is Toulouse, which receives flights not only from Europe but from North America also. If you're flying from Britain, easyJet fly Gatwick-Toulouse and Bristol-Toulouse; BA sometimes has bargain flights Heathrow-Toulouse (and there are several flights daily); Ryanair flies from Stansted to Lourdes-Tarbes (45 minutes from the house) but not daily and now also flies to Toulouse from Stansted or Edinburgh; and there are Flybe flights to Toulouse from Birmingham, Manchester, Belfast, Edinburgh, Glasgow, Southampton and the Channel Islands. If you're flying in from North America or another long-haul starting-point, the frequent daily BA flights Heathrow-Toulouse can be especially convenient. There are also cheap flights from all over Europe to Paris Orly, which offers frequent flights to Lourdes-Tarbes, the closest airport to our house. It's also possible to travel by train from anywhere in Europe (by TGV to Tarbes or Toulouse, and optionally on from Toulouse by ordinary train to Auch) or by car (via tunnel/ferry from the UK). "This was a lovely spot for a relaxing weekend, and Sarah was the perfect hostess, producing fantastic food. The conversation flowed very easily and ranged far and wide. Michael chaired the discussions well; he was also very articulate, a clear thinker and a good listener, and the pleasant surroundings made the weekend even more enjoyable. It was all I'd hoped for and more." "We want to thank you for hosting the Weekend in your home. It was a unique experience, and we would very much welcome the opportunity to attend one of your Bob talk events... We would even make a special trip!" "We appreciated the weekend so much. Thank you so much for your generous hospitality." "We really enjoyed it, thanks to both of you. The setting was wonderful (as was the weather), the food sublime, and the discussions were great." "A special thank you for a gem of a weekend. Wonderful food, warm hospitality and an amazing giving of knowledge." "Thank you again for this excellent weekend. Sarah's cooking was brilliant and both Dylan Evenings are engraved in my mind. It was an unforgettable weekend. It's sometimes so easily said or written, but it really, really was. We're wallowing in pleasure. May you stay forever young." "Thank you so very much. Everything was just perfect, Sarah's fantastic food and the great new insights into Bob Dylan's life gained through Michael's incredible knowledge which he so enthusiastically shared with his guests. I really loved the chosen tracks too, how different they are from the ones on commercial CDs..."
"Many thanks from the three of us for a great weekend. Lovely food and wine (our thanks to Sarah of course) and terrific conversation. All highly recommended!" "I look back at a wonderful weekend. Thank you very much for your hospitality and inspiring sessions. Thanks too to Sarah for the delicious meals." "Michael, we had a wonderful time and it was a privilege to spend some time with the two of you." 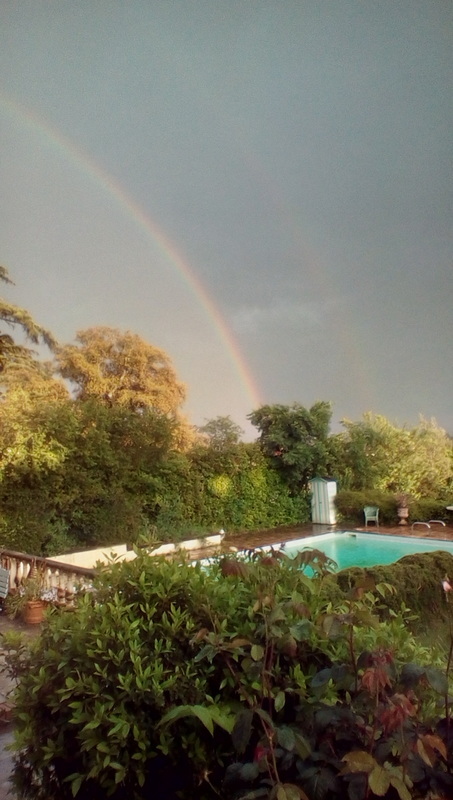 "The house is in a beautiful part of France, and the food cooked and served by Michael's wife Sarah is absolutely outstanding, as is the wine ! It's by no means all about Bob, and we met some very interesting guests, but it was wonderful to have the opportunity to chat with other people who are equally enthralled by Bob's work, and to hear at first hand Michael's extensive knowledge of Dylan's work. A truly marvellous weekend!!" "Thank you to both you and Sarah for a lovely weekend: we both enjoyed it immensely." "Can I just thank you once again for the weekend? We both had a fantastic time. Please pass on our thanks to Sarah as well, not least for her truly outstanding cooking." "You made me and everyone feel very welcome and I couldn't really think of anything to improve the weekend. The food was divine and it was great to be able to indulge our Bob Dylan interest (I'm avoiding using the word obsession!) in an unfettered way!" £399 per single person, or £599 per couple sharing a room.